The GF DMX transmitter needs to be the first fixture, address is 001. 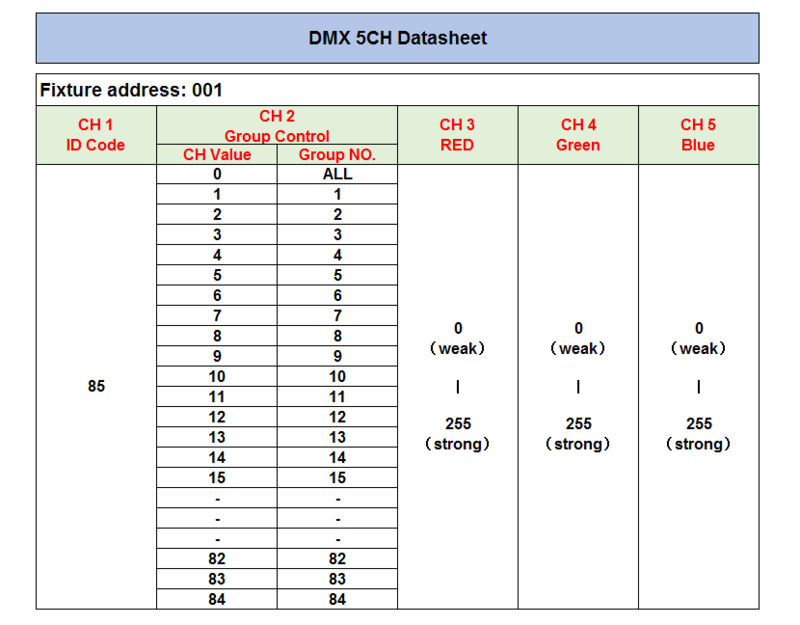 CH1 is the ID code of GF DMX transmitter, the value needs fixed to 85 or 33.3%. CH2 is for group control, set to value 0 means control all the groups. Value 1 means control group 1, value 2 means control group 2… Can up to 84 groups. CH3 and CH4,CH5 are for the brightness of Red,Blue,Green, which by change the CH values can obtain full colors among the RGB range.